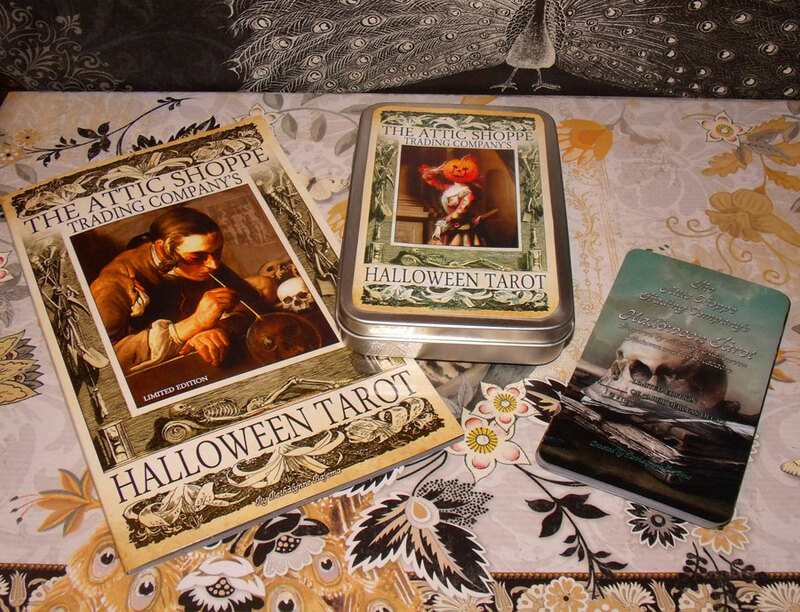 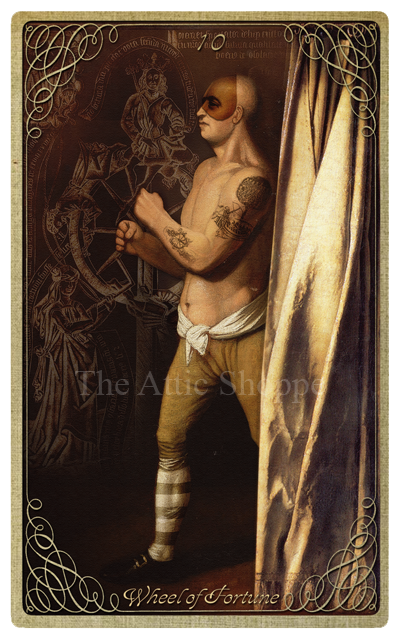 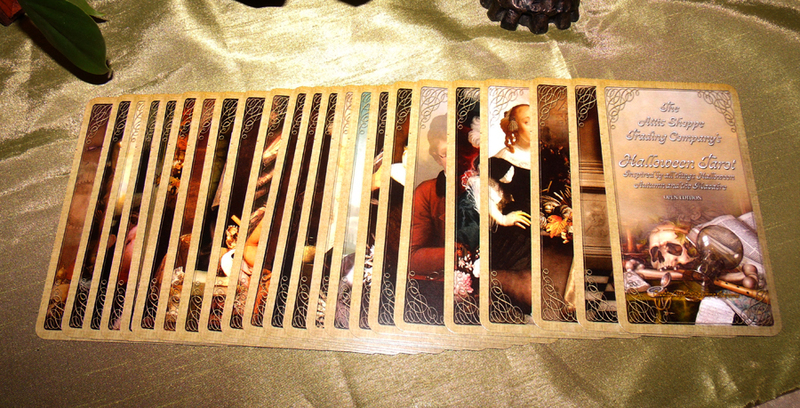 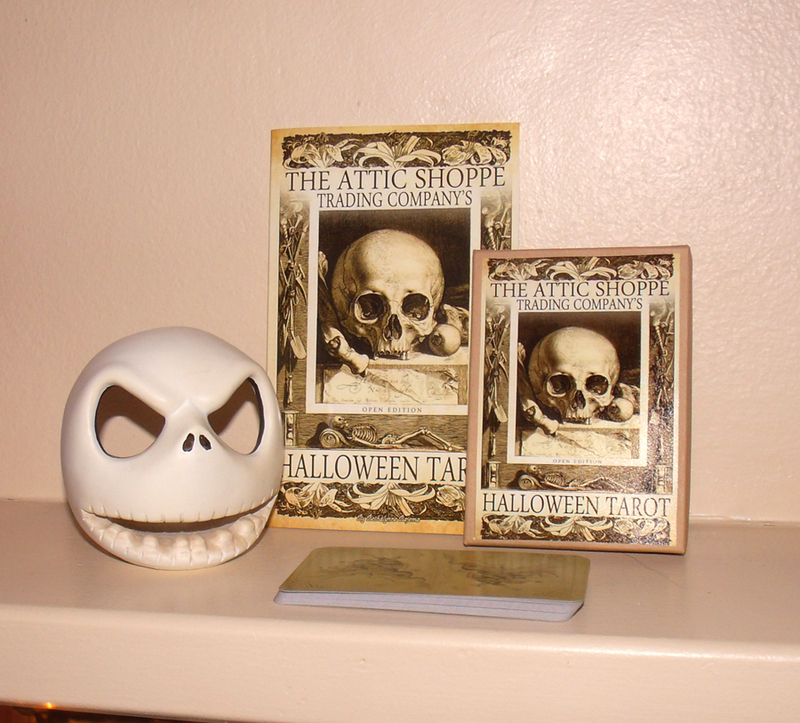 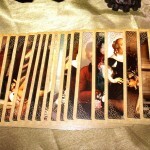 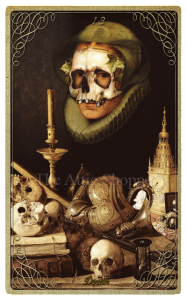 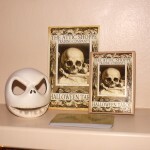 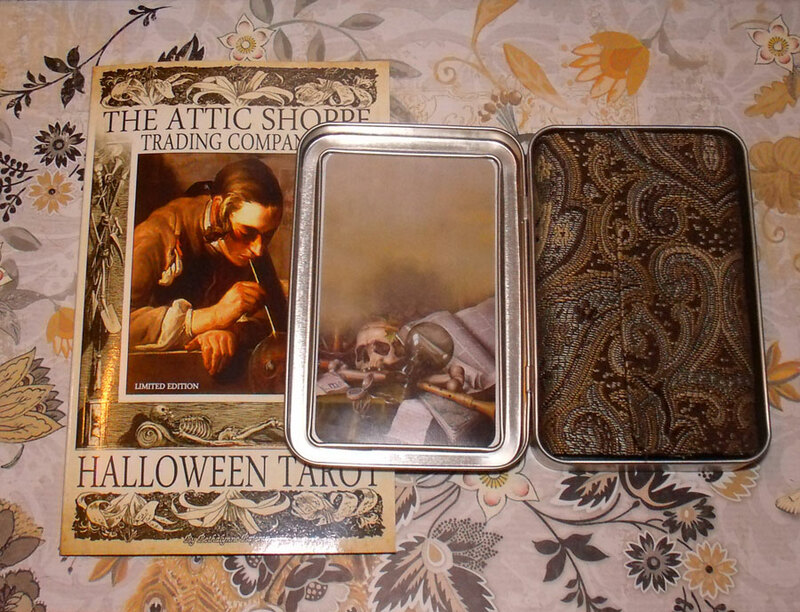 The Halloween Tarot | The Attic Shoppe Trading Co.
We are retiring the first edition of this deck, but we’re pleased to say this is because it’s being developed by a game publisher. 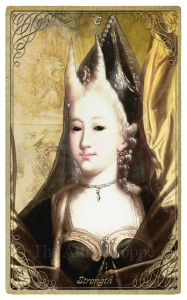 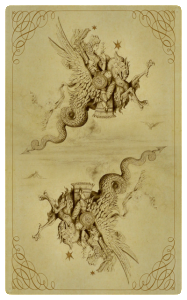 The second edition will feature a simple layout (already view able here), the addition of the minor arcana, and it might have gilded edges. 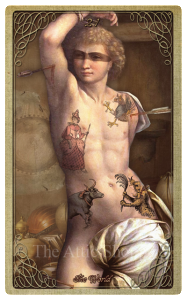 *Fingers Crossed* We are sold out of the first edition of this deck. 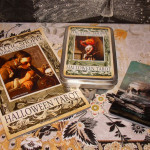 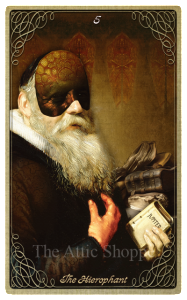 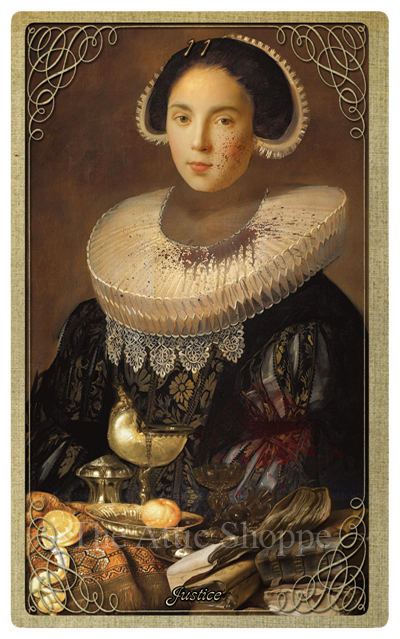 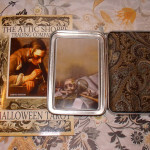 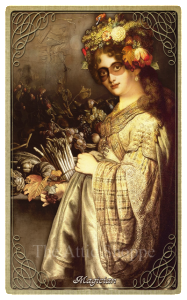 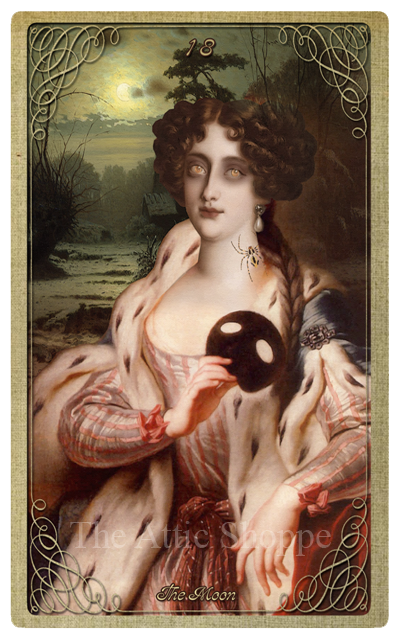 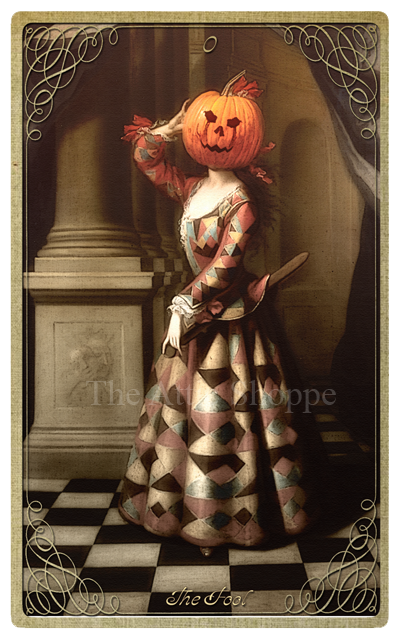 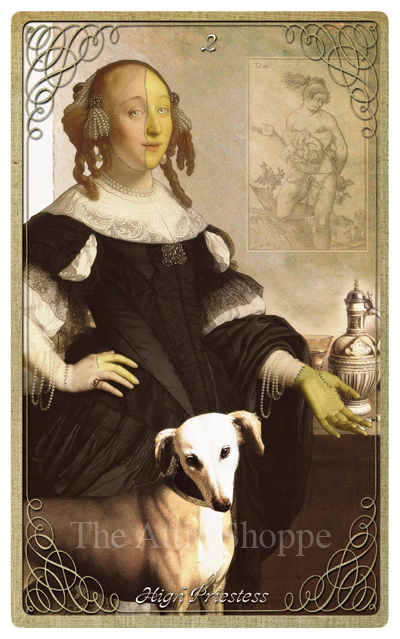 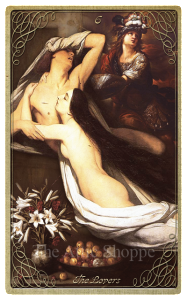 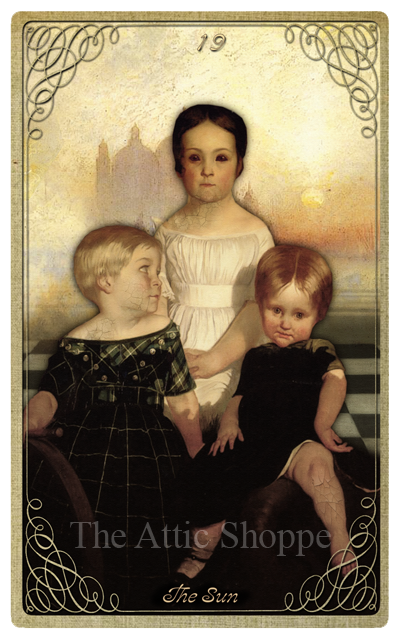 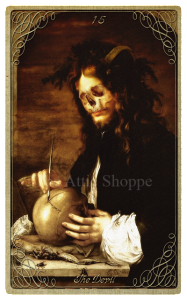 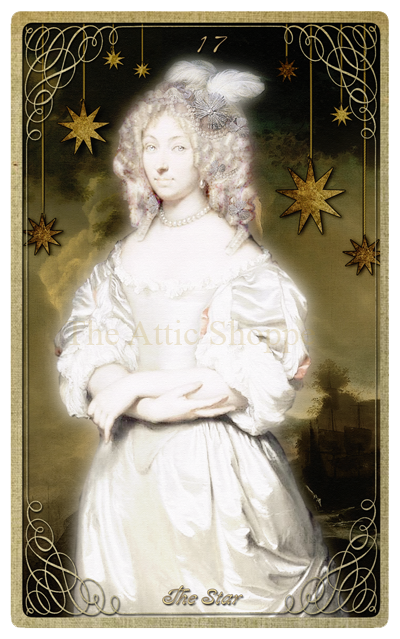 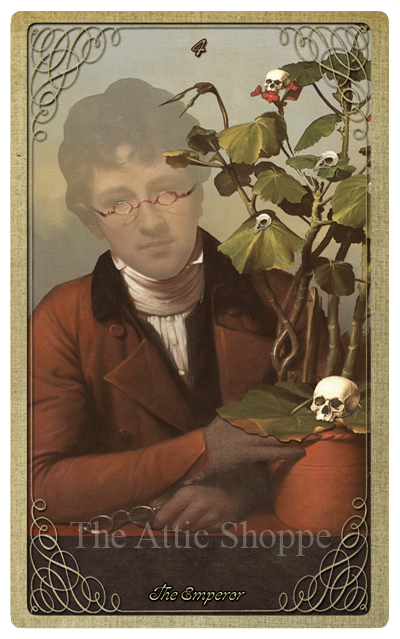 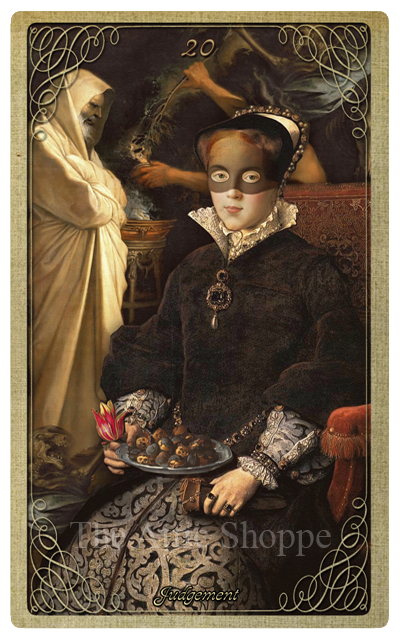 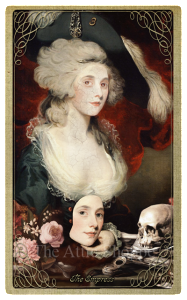 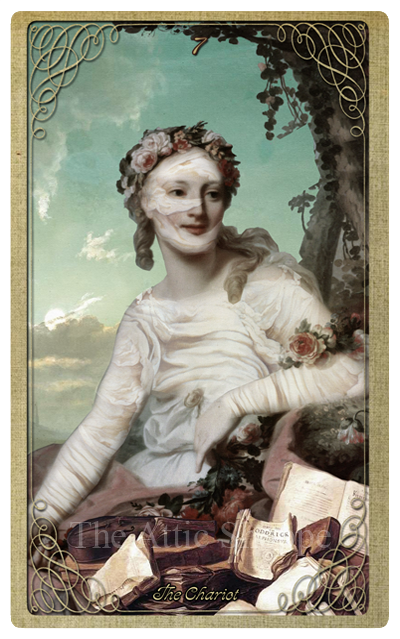 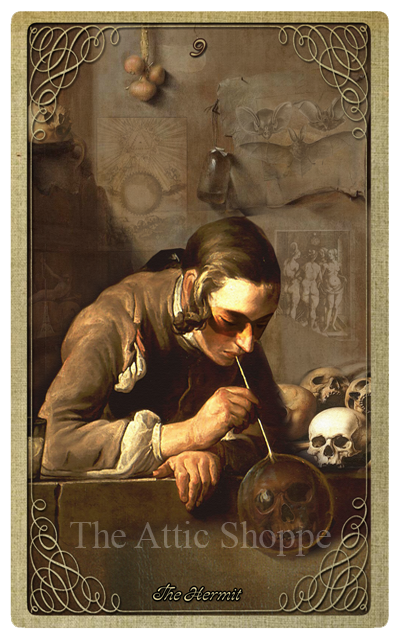 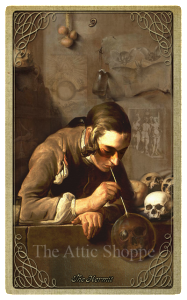 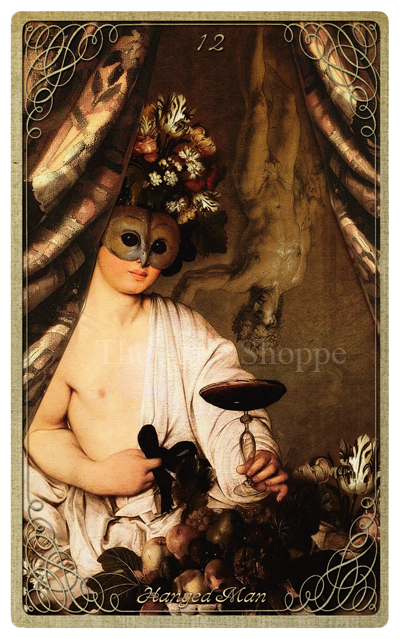 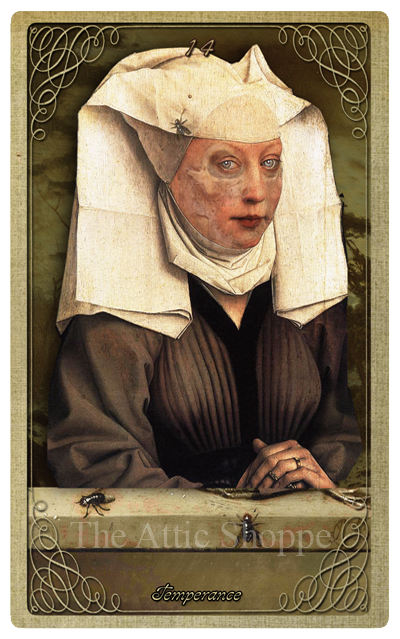 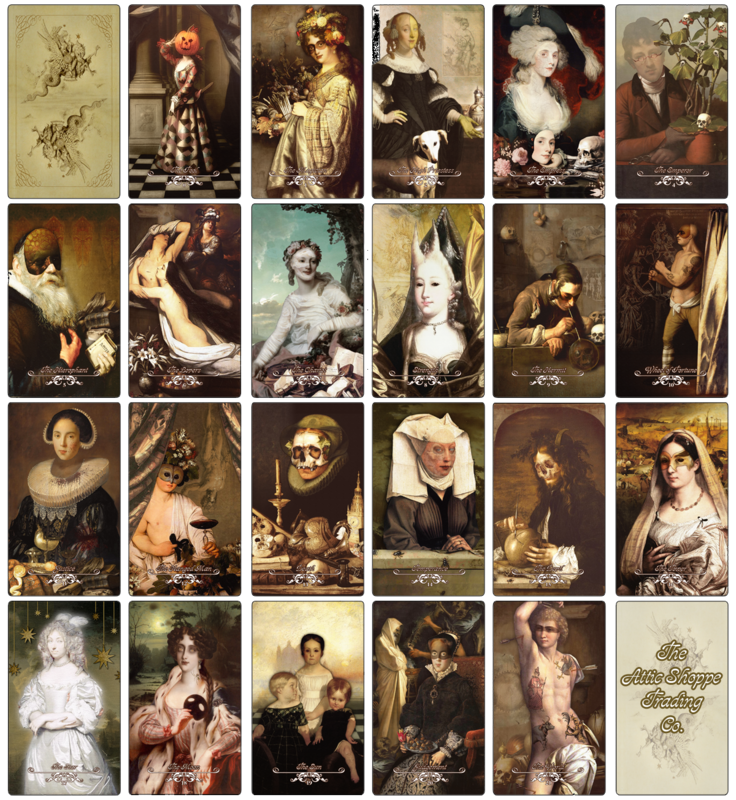 About the Deck: The Attic Shoppe Halloween Tarot (for short) is a collage based tarot deck that features a variety of classic paintings from the 16th, 17th and 18th century re-imagined to create new scenes & characters that celebrate all that is Halloween, autumn and the macabre. The cards are at once familiar while still being new and offer a different take on some classic characters like the mummy, the invisible man and even the bride of Frankenstein. 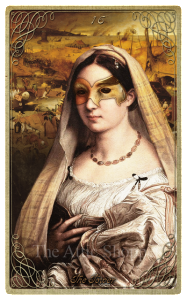 It also includes autumn goddesses and the attendees of our secret masquerade. 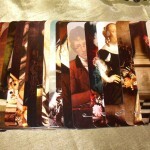 Deck samples and ordering options below. 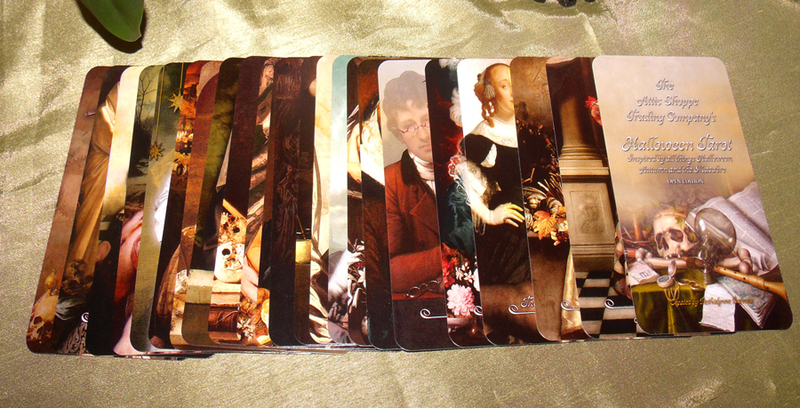 *Card samples pictured below are of the bordered deck. 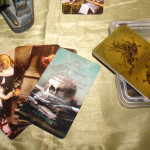 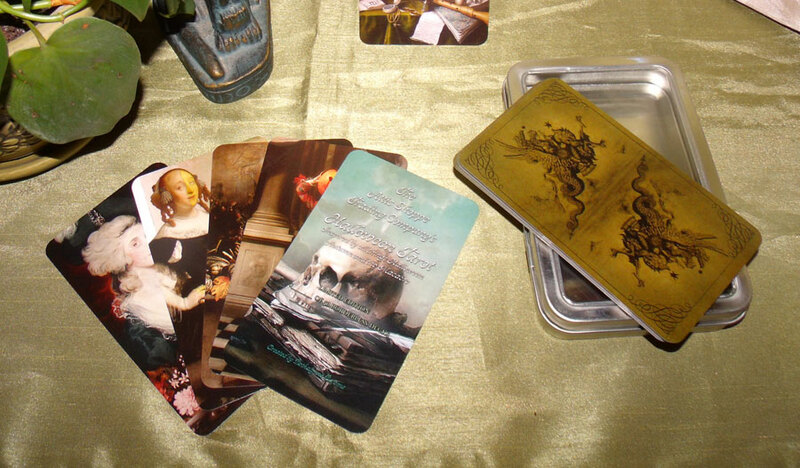 Select this link to see samples of the borderless deck.